Health Related Articles by Terry Hollenbeck, M.D. It’s that time of year again to start making preparations for the flu season, which can begin as early as October and last as late as May. The flu can cause mild to severe illness and occasionally can lead to death. Most healthy people who contract the flu recover without complications. However, some people, especially the elderly and the very young, as well as those with chronic medical conditions such as diabetes, heart disease, and asthma, are at a high risk for serious complications of the flu. One of the most deadly side effects of the flu is pneumonia, which is a very serious lung infection. The flu usually spreads from person to person via respiratory droplets when someone who is ill coughs or sneezes. It also often spreads when a person touches some object that has the influenza virus on it and then touches the mouth, nose or eyes. A person coming down with the flu is contagious from one day before any symptoms appear and remains contagious for up to five days after the symptoms begin. 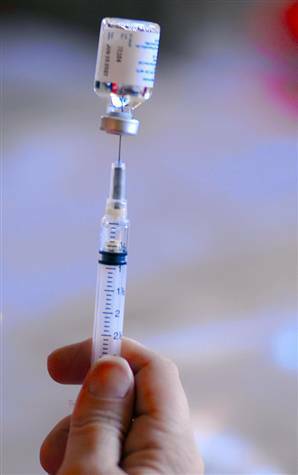 The flu shot contains a dead virus which, when injected via a needle in the arm, will cause a person’s immune system to create antibodies to help prevent one from getting infected. This vaccine cannot give anyone the flu, but it can cause side effects of soreness, redness or swelling at the injection site, low-grade fever and aches. These side effects are usually very mild and last only a few days. In extremely rare instances, a severe reaction may occur, as is possible with any vaccination or medical procedure. Don’t get vaccinated if you have a severe allergy to chicken eggs, have ever had a bad reaction to a flu shot or are ill with a fever. Flu shots are already available at many doctors’ offices and also are being conveniently provided by the local pharmacies CVS, Walgreens and Rite Aid for about $30 cash, with Medicare and some private insurance accepted. I think of the flu shot as being a form of cheap health insurance. I’ve already gotten mine and hope that you will, too. I want to bring to your attention a TV program to be aired soon, which provides a look at California’s amazing response to the recent H1N1 swine flu epidemic. Station KRBC will be broadcasting this program Tuesday, Aug. 16, and again Aug. 25, a Thursday. The H1N1 epidemic is, at least for now, over. This was a disease that killed more than 550 Californians and sent thousands to hospitals. 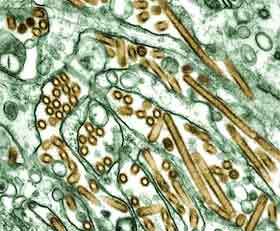 Interestingly, although this virus was similar to a virus carried by pigs and therefore commonly called swine flu, it actually was a human virus and did not originally come from contact with pigs. It was first detected in the United States on April 16, 2009, in a 10-year-old boy from Southern California. Two days later, an 8-year-old living 130 miles from the first proven case was also reported positive for the new H1N1. Within a week, cases were reported from other states and then from Mexico, making it clear that cases were occurring outside of the U.S. Within two weeks of the first case, others were rapidly reported, and the Federal government declared that a public health emergency existed nationwide. The Centers for Disease Control began distributing massive amounts of antivirus drugs and other equipment to help stem the tide of the escalating epidemic. By June 18, 2009, the World Health Organization declared a worldwide pandemic. During this time, there was frantic work to develop a vaccine for the H1N1 influenza virus. This vaccine was first available to the general public in October 2009, the same month that the number of reported cases had reached its highest point. It soon began to taper off, and by May 2010, the U.S. government declared an end to the H1N1 flu season. H1N1 was different from the more common influenza in that it targeted the 5- to 25-year-age group and had a minimal effect on people age 65 and older. This was likely due to older people having protection from previous influenza illness or from past immunizations. There are those who claim that the response to the H1N1 epidemic was way overblown and driven by greedy drug companies and a big government seeking even more control over our lives. I would much rather see a response that, in hindsight, might be considered overly aggressive than to look back and see that a weak response caused the deaths of hundreds of thousands. One can never predict initially how severe an epidemic will become. As I look back at the early days of the H1N1 epidemic, many of us on the front lines of health care, including myself, were quite concerned about our medical facilities being overrun by a multitude of very sick individuals. Fortunately, such a scenario did not occur. This experience made me realize how important it is for the public, health care professionals and the government to react swiftly to any potential growing epidemic. We will inevitably face a serious epidemic again sometime in the future, and we must be prepared. The 2010 influenza season officially begins in October, but cases of flu in some areas of the country have already been reported to the Centers for Disease Control and Prevention. The infection usually peaks in January, February and March and usually ends by May. It is impossible to predict ahead of time how bad the flu season might be, but as we learned with the H1N1 (swine flu) last year, it’s best to be prepared. Fortunately the H1N1 bug never became the nightmare that it could have been. But it was bad enough, killing almost 13,000 people and sickening more than 60 million in the U.S. alone. This year’s flu shot will provide protection against the three strains of flu expected to be most prevalent: H1N1, a new strain called H3N2 and influenza B. The swine flu virus will most likely affect the young, as it did this past year, and H3N2 will cause illness among the elderly. Those who had either the seasonal or the swine flu vaccine last year are recommended to get this year’s flu shot as well. There is no anticipated shortage of flu vaccine this year, as there was last year. The new 2010 vaccine is now becoming available to the public. I recommend that people get immunized as soon as it is available, as there is no good reason to delay it. After being immunized, it takes about two weeks to become effective and it will last all through the flu season. * Children younger than 5, but especially children younger than 2 years old. * People 50 years of age or older. * Those with chronic medical conditions or who live in nursing homes. * Those who live with or take care of infants younger than 6 months old (these children are too young to be vaccinated). If these side effects occur, they usually show up soon after the shot and last 1 to 2 days. Also, those who are sick with a fever should wait until they recover to be vaccinated. So, should you get a flu vaccine this year? All I can say that as I look back over my past 37 years of medical practice, the vast majority of patients whom I have treated for symptoms of influenza have been people who were not immunized. Flu activity seems to have quieted down recently, for which we can all be thankful. But the flu season is not over yet. Influenza is still out there. Many states are reporting flu activity, which still remains a threat. Seasonal influenza usually peaks in February and March and can continue as late as May. So increased activity from the seasonal influenza, the H1N1 flu or both is still possible. We need to remember the 1957-58 pandemic, when flu activity decreased in December and January. Thinking the worst was over, officials relaxed their push to get people vaccinated. When flu activity significantly returned in February and March, many were hospitalized, and deaths increased, as well. This could be a good lesson for us today. So far during this flu season, most activity has been attributed to the H1N1 virus, which first appeared in April. By the middle of November, the United States had reported roughly 47 million H1N1 flu cases. This resulted in well over 200,000 hospitalizations and caused nearly 10,000 deaths. About a thousand of those deaths were in children younger than 18, a number of whom were healthy before they caught the flu. That is why it is important not to take this disease lightly. • Have a chronic illness such as asthma, heart disease, or diabetes. • Are 65 years or older, and therefore are at increased risk of complications. • Care for or live with a baby less than 6 months of age, as these infants are too young to be vaccinated for influenza. Children who are 9 years old or younger need two doses of vaccine about a month apart; however, waiting more than a month between doses does not seem to decrease the effectiveness of the vaccine. Adults need only one dose. Regarding popular worries about side effects of the H1N1 vaccine, data from the established surveillance systems would indicate that H1N1 has a safety profile similar to that of the seasonal flu vaccine. No significant pattern of adverse health events have been seen with either of the vaccines. The bottom line is that although flu activity has died down this past month, the season is not over. It is still important to get vaccinated and be prepared for a possible increase in flu activity, which could occur between now and May. At this time, there appears to be enough vaccine for anyone who wants it. I would like to thank the Palo Alto Medical Foundation’s Santa Cruz Incident Command Committee for supplying some of the information for this article. There’s an abundance of hype in the media these days concerning the safety and necessity of the H1N1 swine flu vaccine. There are those who oppose any type of immunization, those who believe in conspiracy theories and those who just don’t trust science-based medicine. And, of course, there are many individuals who have a justifiable worries about anything that is new and possibly not adequately tested. The fact is that this H1N1 vaccine uses the same technology, processes and facilities that are used to make the yearly seasonal flu vaccine, which, over the past 30 years, has proven to be reliable and safe. The H1N1 vaccine has been tested extensively, and so far, no significant side effects have been noted. The only difference between this vaccine and the yearly flu vaccine is that the H1N1 vaccine targets a different strain of the influenza virus. We must remember that any time a new drug or therapy is tested on thousands of individuals, it eventually comes to market to treat millions of people. Overall, we have a very good track record of providing new drugs to those who benefit greatly from them. Smallpox, which was a scourge of the world, has been virtually eliminated by a vaccine. Polio, measles, mumps and rubella have been controlled where vaccinations are available. Physicians constantly grapple with the concept of risk versus benefit when treating patients. As with life in general, there are no absolute guarantees in medicine, but I believe the benefit of preventing complications from H1N1 flu outweighs the risk of the vaccine itself. In my two prior swine flu columns, I advised everyone to be prepared for the flu season by getting vaccinated when the vaccine is available. I also talked about being prepared to stay at home for the duration of one’s flu symptoms. Now I would like to give advice according to the Centers for Disease Control and Prevention for medical treatment of swine flu. In children, not taking enough liquids, difficulty awakening or extreme irritability. If an epidemic of swine flu does not materialize this year, there will be adequate treatment facilities available at doctor’s offices, clinics and hospitals to care for those who become ill. But if a truly major epidemic occurs, receiving adequate treatment may prove difficult. In this scenario, health care facilities may be overwhelmed with sick patients. Medical personnel, including doctors, nurses and technicians, may be in short supply because of being too sick themselves to provide care. We at the Palo Alto Foundation Medical Group Santa Cruz, like other local medical organizations, are making plans to deal with a worst-case scenario. In such a case, patients arriving at a facility for medical care might be screened and treated outdoors in their cars or in tents. Some clinic buildings might be designated to care for only swine flu patients. More care might be provided over the phone or by e-mail. We are all exploring novel ideas to deal with a surge of sick patients, while at the same time remaining hopeful that such a situation will not occur. If we find ourselves with an epidemic, it will be very important for everyone to rely on the media for up-to-date information on what could be a fluid and rapidly changing situation. In conclusion, I repeat what I said in the beginning of this series regarding swine flu: We must be prepared, not scared. Health officials are concerned about the possibility of a surge in swine flu cases appearing soon after students return to school this fall. The symptoms of H1N1 infection, called swine flu, include fever, cough, sore throat, body aches, headache and, sometimes, vomiting and diarrhea. To help prevent an epidemic of this illness, we must all do our part. If you become sick with these symptoms, you will probably be ill for at least one week. You should stay at home and avoid close contact with others as much as possible. Avoid most of your usual activities, such as school, work, shopping, social events and public gatherings. Do not resume any of these activities until at least 24 hours after your fever is gone. This period of isolation is of utmost importance to help prevent the spread of swine flu. Schools will send sick students home. When an ill child is identified, there may be isolation rooms where students will wait until they can be picked up and taken home. At all times during your illness, you need to cover your cough or sneeze with a tissue and wash your hands frequently with soap and water for 15 to 20 seconds, or use one of the many available alcohol-based hand sanitizers. Avoid face-to-face contact with others by keeping a distance of at least 3 or 4 feet between you. If you have to leave home to seek medical care or for some other necessity, wear a mask. A one- to two-week supply of food and water. Medication for treating fever, aches and pains, such as Tylenol (acetaminophen) or Advil (ibuprofen). Cough medication, such as Robitussin DM, Vicks 44 or honey/menthol lozenges. Throat lozenges, such as Sucrets Complete (with dyclonine and menthol). Electrolyte drinks, such as Gatorade or Powerade. Alcohol-based hand sanitizer, such as Purell. Surgical masks, obtainable from most pharmacies. In the event of a major swine flu epidemic, being able to see a doctor and receiving treatment may be difficult. That is why I recommend the above list of supplies and home remedies. No one knows how the swine flu season will unfold. I hope it will be no worse than any other flu year. But we have to be prepared, just in case. Purchase my new book, HOUSE CALLS at this link below.